A video walkthrough of Instruo’s so far unannounced new module just emerged. 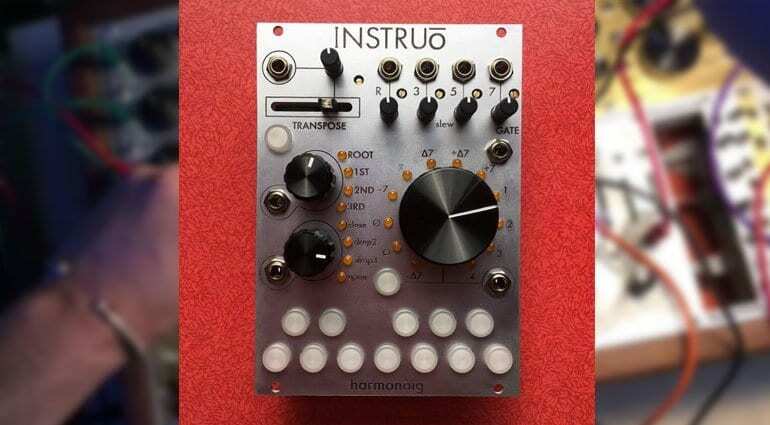 Jason Lim takes us through the Harmonàig – a polyphonic, diatonic CV quantizer module, which essentially means it takes a CV input and creates 4 note harmonies and chords. It also features a lot of very tweakable and musical jiggery-pokery. The four outputs are root, third, fifth and seventh for routeing to four tuned oscillators. There’s a handy unison mode you can enable to let you tune your oscillators to the same pitch. The top knob controls the chord inversion and reorders the voicing. The second knob is the voicing spread which he likens to dropping root notes on guitar. Both knobs are CV controllable. The transpose slider gives you two octaves up and down from the current CV level. Around the big knob is the “chord quality” which is the type of chord being used. You can also use the little keyboard at the bottom to specify your chord notes. In quantize mode the notes are restricted to the knob settings. In performance mode then all notes are available. There are four places on the chord quality wheel that can be set by the user, so you can create and store your own chord clusters. Harmonàig also has built-in musical modes, like Ionian, Dorian etc. This affects the chord quality selection. He says it acts like a tonal colour palette as each mode will have its own characteristic. It’s fascinatingly musical. Throughout the video it seems to sound continuously gorgeous. Jason talks a lot about the melodic and harmonic relationships and tonal qualities that he designed into the module. You don’t often hear people talk this way with regards to modular, which excels at operating outside of the usual musical frameworks. 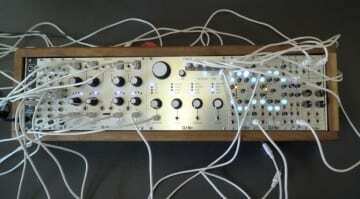 It’s a remarkable module and is also a great way of selling his 3 oscillator Troika as the perfect match for Harmonàig. 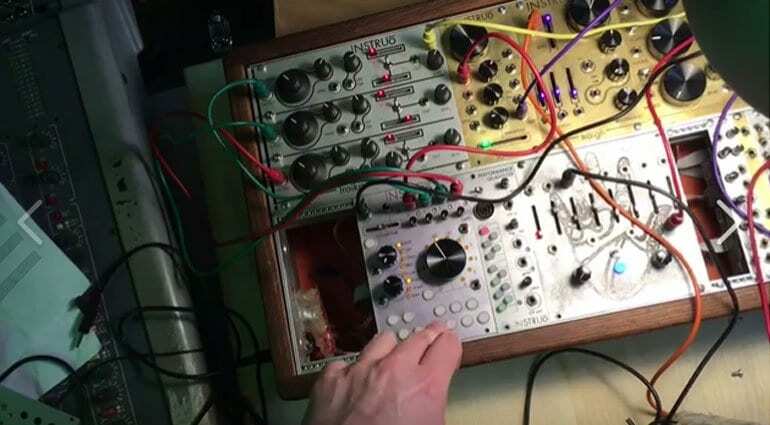 The video was made as a user guide for the Harmonàig’s first customer, Marcas Lancaster, whose post on the Eurorack Synthesizers Facebook group first alerted me to its existence. I got in contact with Jason and he was kind enough to upload the video to YouTube so that we can all enjoy it. He says that Marcas’ Harmonàig was a custom build and that they are still a couple of months away from a production version. But if it’s something you might be interested in then just get in touch. Also in the video is a sneak preview of a prototype single oscillator called Tonà. 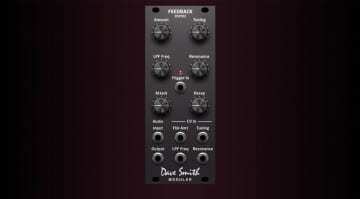 It’s essentially one voice taken from the Troika with an added wavefolder. There’s no immediate schedule on that. 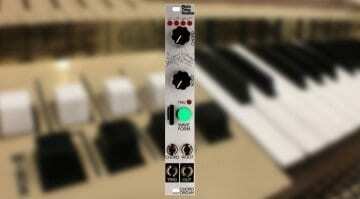 Looks like Instruo have lots more modular goodies to come. Instruo can be found here and you’ll find more details on the Harmonaig in the video’s description.